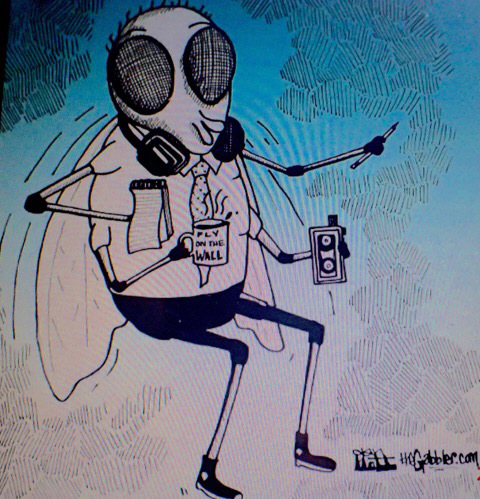 The Med’s lordly flies [a fly infestation] have choked, but construction noise from a project next door is at a dull roar. The construction noise comes in like a low-flying B-29, or a base-note dentist’s drill. Perhaps this is the price we pay for the new mural on the block. 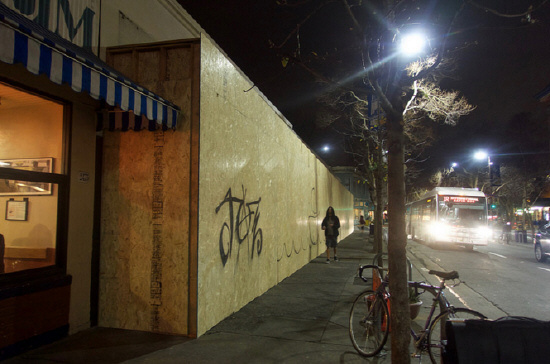 The mural, entitled, “Wired,” and named by Steed Dropout, replaced a bare pressboard construction barrier, which had acquired the usual tags that Telegraph is heir to. Before. Photo by Ted Friedman. After. Photo by Ted Friedman. Before it was a mural, it was Shakeaspere’s books, a 50 year Telegraph landmark. Med owner Craig Becker says the mural is hurting his business. We asked Becker how the honkingly high artwork could hurt business. “Because one-fourth of the block is closed,” he told me. “It’s depressing,” to pass by this void,” Becker said. Business, at the Med, has ground to a halt; the ear-shattering coffee grinding can still clench teeth. Becker blames the new student union late night hours for a slump at the Med, noting that student union campers once were frequent night flyers at the Med. A community college student, who worked at the Med in kitchen prep, killed himself a few weeks ago, but he was not well known because he was out of sight at night and an introvert. Owner Craig Becker learned of the death from the suicide’s father, who was trying to find his son. From the Med’s resident philosopher, we learned that the dead Med head was one of our resident depressives. We recognize each other’s fears and tremblings. 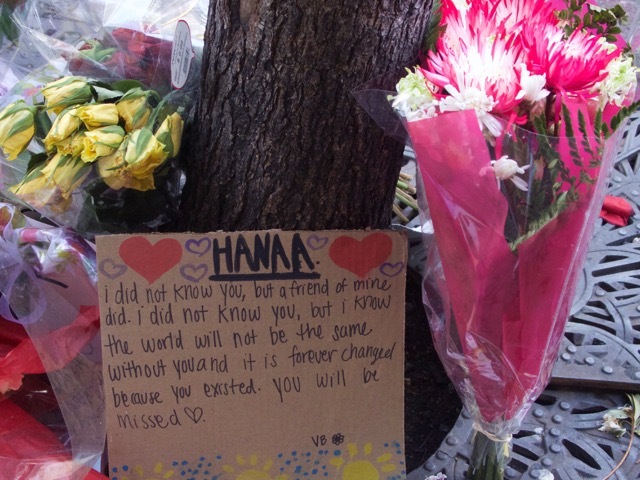 A Cal student jumped to her death from the third floor of the Carlton Hotel, recently. Nothing by way of a motive has emerged for the jumper’s death, but the jumper inspired an unusually tasteful memorial of fresh flowers and a few encomiums, including notes attempting to explain. The notes tell us that although she was–like the dead Med head–unknown, she mattered somehow. Missed. Photo by Ted Friedman. For all its charm, the floral memorial is now tattered, and talk of the dead Med head has subsided. Dropout was the only one asking questions, anyway. There is much to live for here, what with the openings within months of a books/records store where the famous Cody books earned its international chops, joined by whatever adventuresome retailers will occupy the gutted Shakeaspere’s. 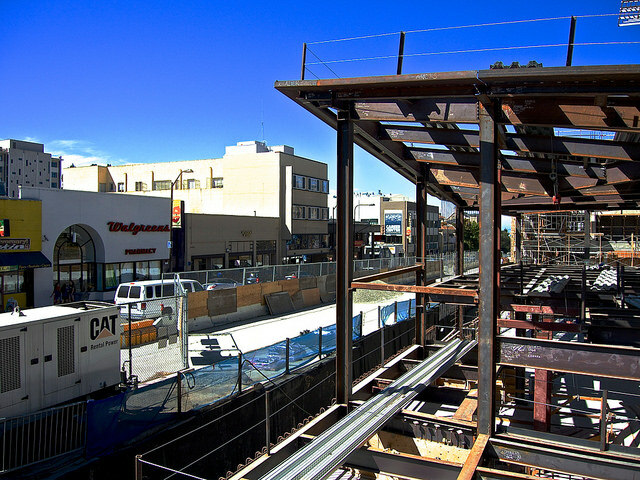 A popular corner spot, burned down five years ago, is racing towards completion. This should provide more bodies for the new chairs at the Med and if Amoeba music, also at the corner gets permission to purvey pot, the corner at Haste/Telegraph will…will…go blooey. Caffe Med Shoo Fly; if the fly won't shoo, wear it. MORE NEWS FROM LAKE MEDHEADSVILLE, MY HOME SWAMP. 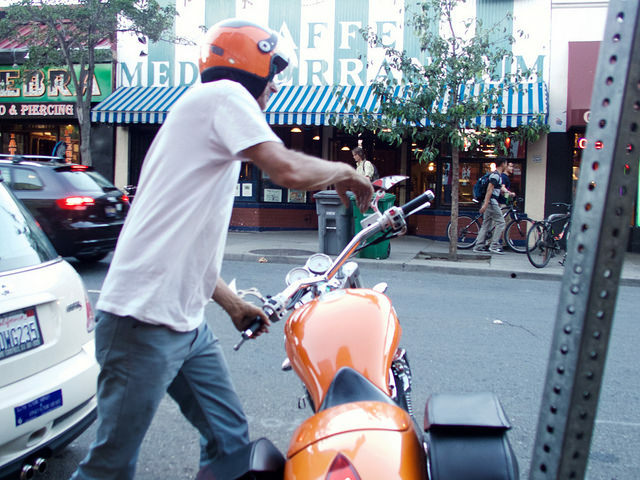 Our Facebook contest to complete the phrase, a cappuccino at the Med is not__________ (whatever)–seems to have failed. The inspiration for this contest comes from a 70s poem, “A cappuccino at the Med is not a hot-tub in Marin,” whatever that means. That free frosty class of ice water, courtesy of the Caffe Mediterraneum, has gone the way of lost amenities. Medheads are still trying to understand how come the free filtered, deliciously cold water could suddenly dry up, just as rain has brought some drought relief. Those flies on the wall…turned out not to be CIA bugs, but real flies on the walls and in our faces. If you see a Medhead flagellating himself, he’s just whacking some fly. We spend our time singing, “Shoo fly don’t bother me,” while seeming to slap ourselves about the torso. “At least there were no charges for the flies. Some places might have charged,” Becker quipped. Damage from the hole in the wall alongside the Dustin Hoffman chair, at the Hoffman alcove has been contained but not repaired. Hoffman, in a 1967 photograph posted on the Med wall, as he looked out the Med window (in “the Graduate,” 1967) across the street to Moe’s books, will remain only as long as the Med wall and the movie. Even if the Med crumbles, it will live on in film. Meanwhile, Becker awaits an angel/investor (someone who eschews profit for the good of the show) to pay for the Med’s capital improvements, like ridding the flies and fixing the hole in the wall. As Mead Heads drop dead waiting for Godot at the Med, they cannot be sure the Med will out last them. And that contest mentioned above, “A cappuccino at the Med is not….(whatever). The winner is: A cappuccino at the Med is not forever. Dustin Hoffman is looking over my shoulder. I don’t need to turn around to verify that. But when I do, I see that he’s not looking at me at all. He’s looking at Moe’s books. Hoffman is trapped in a picture frame at the Med in “the Graduate,” 1967. WILL IT BELONG TO THE AGES? 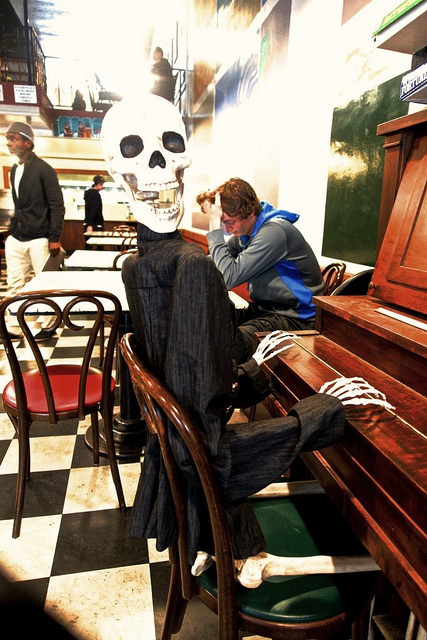 Although up for sale, Berkeley’s oldest espresso squeeze is not going quietly into Hamlet’s speculative sleep of death. The Caffe Mediterranean may prolong its swan song as it drifts between to what it might have been and what it has become—a cheap eats and last stand conversation center. 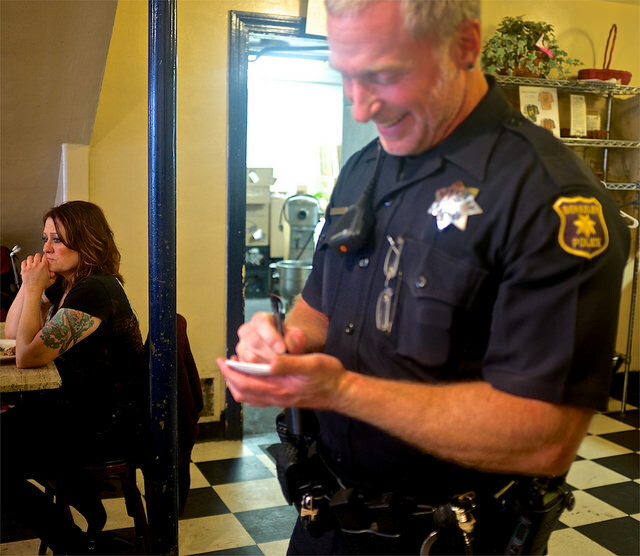 Photo of good cop investigating me for illegal photography, Cafe Med. 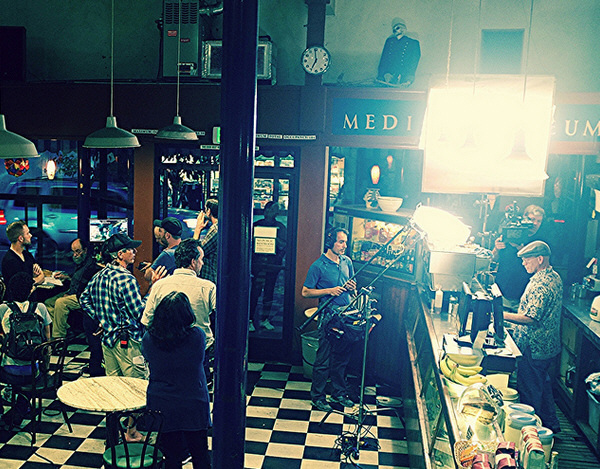 Those cops coming through the doors of the Caffe Mediterraneum, as they do hella lot–those cops were coming for me. Minutes earlier, I had been photographing upstairs at the Med. I have been publishing my photos–in several Berkeley publications–of inside the Med,since 2011; my eye caught a strange scene at the restroom upstairs. Med owner Craig Becker was seemingly about to enter an occupied restroom with his master key. He didn’t knock. Yesterday, hassle; Becker, right. Photo by Ted Friedman. 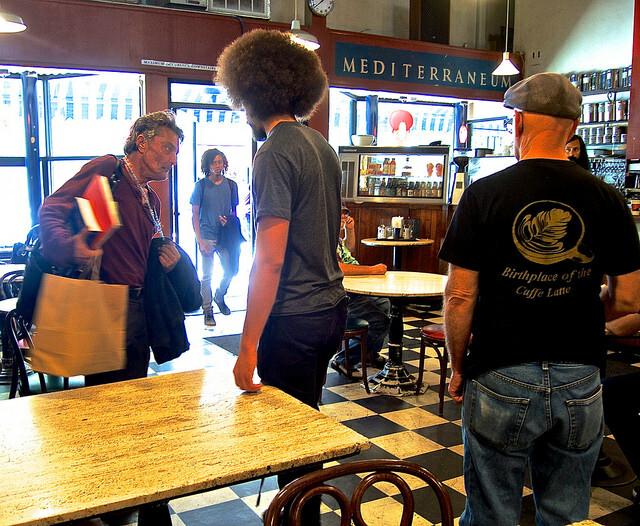 A typical day, yesterday, for Craig Becker, 62, who recently put Berkeley’s most famous (60 year-old) coffee house-cafe up for sale: first, he had to eject a psychotic, then he got into a brief hassle with street kids he was about to wash off the sidewalk with a power hose outside his Caffe Mediterraneum, on a seedy stretch of Telegraph Avenue. “We don’t think it’s very nice of you,” protested a sprayed-out young newcomer to the Telegraph scene.